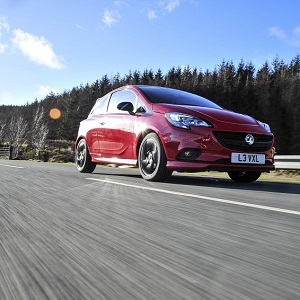 With a simplified model range, Vauxhall has updated its top-selling Corsa range, with highlights including new Euro 6.2 compliant engines, new trims and integrated sat nav as standard on up-level models. The new Corsa range is available in seven different trim levels, with prices starting from just £11,250 on-the-road for the entry-level Active model. Customers can also choose from Design, Energy, Sport, SRi Nav, SE Nav and SRi VX Nav Black models. Available in three or five door variants, the range introduces the new 1.4-litre Euro 6.2 compliant petrol engines. Paired with either a five or six speed manual, or automatic transmission, the new engines can achieve up to 50.4mpg and CO2 emissions as low as 128g/km. The new Corsa range also now has more tech as standard on selected trims. The refreshed Corsa introduces air conditioning as standard starting from the Design trim, and Navi 4.0 IntelliLink touchscreen navigation and infotainment system on all models from the SRi Nav trim. Vauxhall has also introduced the new Lux pack, which is available for customers choosing the SE Nav trim. For just an additional £1,550, customers can add extras including 17-inch diamond cut alloy wheels, rear view camera, tinted rear windows, single zone climate control and more. The new refreshed model range is now available to order from your nearest Vauxhall retailer. For more information about the updated range, visit www.vauxhall.co.uk or your local Vauxhall retailer.